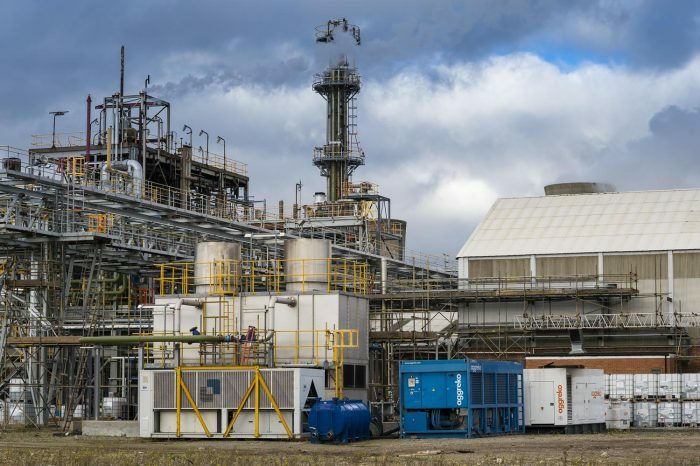 In order to successfully develop a new product and accelerate the project timeline, Chemoxy have worked with Aggreko to expand our processing capability. The challenge was to increase the cooling available to one of our five production units at Billingham, quickly and efficiently. Aggreko offer temperature control hire solutions to support fast track projects just like this one and their core values of delivering premium value, a focus on safety at every level of their operation and protection of the environment fit well with Chemoxy’s credo. Chemoxy were able to accelerate an important new business project by renting a temporary process cooling package while a permanent investment was installed. The temporary cooling system was installed rapidly to allow production development trials to get underway preventing interruption to the customer’s schedule and allowing us to fully meet their needs on time/ in full.